The fastest and most efficient way to get your team up to speed with what PWAs can offer. Attendees will learn everything about PWAs from the ground up, all the way to building a real-life application. Don't leave your designers behind. We tackle both UX design and development to benefit the entire team. Wether you're a tech conference or a private company, this workshop is tailor-made for your needs. 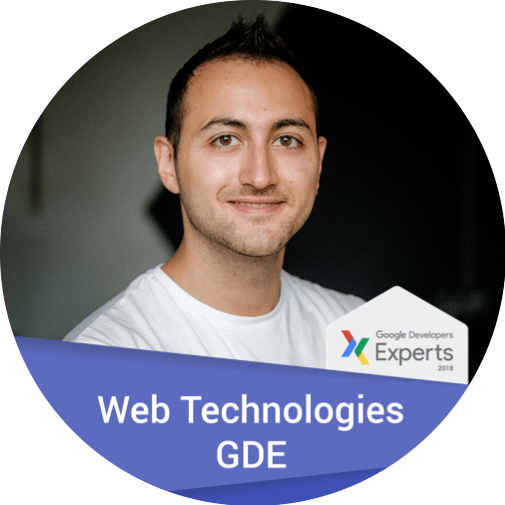 Jad is a Google Developer Expert, Microsoft Most Valuable Professional & web consultant. Check out his website and videos. Well done Jad! I was really impressed with the quality of the workshop. Slides were very clear and also useful to look up things later. Live coding helped to memorize better. Presentation was very clear. We went through a lot of terrain but still it was fun as well. I could see a lot of preparation went into this. I left the workshop (and still have the feeling now): let's build a nice PWA! One of the best, and most intense, workshops I have attended. Excellent case with the banking app we updated during the workshop. Great workshop! I learned a lot, and picked up quite a few tricks. I enjoyed the discussions that emerged while trying out things, and feel better suited for working with more confidence on my next web project. This workshop truly opened up my mind to the new possibilities on the Web. I can't wait to build a Progressive Web App with my team for our next project. What I liked the most about this workshop is the step by step approach. I started with a simple website and at the end I made it work offline and it's really fast! We used to hear about all of these PWA terms without knowing what they really do. Now we know what's all about and we're already enjoying building our PWA at work. Excellent workshop - even went well beyond just building PWAs. I really appreciated the depth of the content, and the focus on the fundamentals.